Unfortunately, the question is there going to be an actual conflict between Russia and the United States doesn’t look rhetorical these days. It becomes even more acute if we are to carefully analyze the rapidly worsening relations between the two nuclear states that are being eroded by the hawks in Washington. It’s been noted that for more than a decade Russia has been increasingly demonized and thus delegitimized by the American political-media establishment. This began with the personal vilification of Russian President Vladimir Putin but has grown into a general Russophobic indictment of Russia itself and any of its citizens that may have contacted Americans in any form over the last decade. This notion has been stressed by a well-respected professor emeritus of Russian studies at NYU and Princeton, Stephen F. Cohen. Additionally, there are opinions that more recently, those “crimes” attributed to the Kremlin in the UK and Syria have expanded the condemnation beyond charges customarily leveled against Soviet Russia. The White House’s policy documents have also presented a belligerent stance toward Russia. As threats keep flying across the ocean, one has to notice in regret that those are not just kept tensions high but also produce knee-jerk policy responses focused on mindless confrontation. The rapid deterioration of bilateral relations between Washington and Moscow was the primarily topic of the panel held at the Center for the National Interest, where experts discussed bilateral ties between the two states. During that discussion, there was a point where analysts started to openly wonder if there could be some sort of military confrontation between the two nuclear-armed great powers since the tensions have been incredibly high for years now. Previously, even during periods of tension, as during the Kosovo crisis in the late 1990s, few believed that disagreement between Washington and Moscow could lead to a serious crisis, let alone a nuclear war. But it took Washington only a decade to start arguing that a Russian-American armed conflict is a possibility and that the risk of such confrontation is growing while doing nothing to reduce the level of tension between the states. It came to a point where the vice chairman of the Joint Chiefs of Staff, General, Paul J. Selva told the media that the Pentagon has already drafted a plan of the conflict, even though it is guaranteed to result in a mutually assured nuclear annihilation. Moreover, an Associate Professor of Government Georgetown University, Matthew Kroenig has recently presented his calculation of the number of casualties that Russia and the US are to suffer in an event of a nuclear conflict. While a recent RAND Corporation study concluded that Russia could overrun NATO’s member states Estonia, Latvia and Lithuania in the Baltics within sixty hours, the war games did not simulate the use of nuclear weapons. If, however, a war was to break out between NATO and Russia, nuclear weapons would certainly come into play. At the recent World Economic Forum in Davos, the former US Secretary of Defense, Ashton Carter announced that Washington and its NATO allies were to develop a plan of war with Russia that he described as a highly likely development! Moreover, the Trump’s administration is now requesting Congress to allocate up to 6.3 billion dollars of the defense budget on the efforts to deter Russia in Europe for the fiscal year of 2019, which constitutes a 1.7 billion dollars increase in comparison with previous years. And preparations for this so-called ‘deterrence’ are in full swing, as the Pentagon creates stockpiles of weapons, military equipment, ammunition, rations and other military property in various parts of Europe. Experts say that such logistical reserves are quite sufficient for a rapid deployment of a 300 thousand man strong force on the continent. According to a report released by Warrior Maven, the Pentagon is also planning to deploy its Stryker vehicles in Europe in foreseeable future. The source notes that Washington is fast-tracking newly configured Stryker vehicles armed with helicopter and drone-killing weapons to counter Russia while noting that arms specialists have been looking for a rapid solution for the near-term fight for quite a while now. The rapid pace of such preparations leads military experts to a conclusion that Washington is planning a massive military action against Russia by 2020. Reports show that the US NAVY is increasing its presence in the Black Sea in a bid to counteract growing Russia’s military presence in this region. According to the sitting US Secretary of State, Mike Pompeo the times of Washington “soft” approach to Russia is all but gone now, and that the US has a list of ways in which it can hamper Russia’s interests across the globe. So it should come as no surprise that the CIA has been hiring candidates that have both the military background and a strong command of the Russian language, with British intelligence agencies doing precisely the same. Speaking at a budget hearing in the United States House Committee on Armed Services last March, Commander of the United States Strategic Command, General John E. Hyten announced that that Russia may be destroyed by the force of the US submarine fleet. 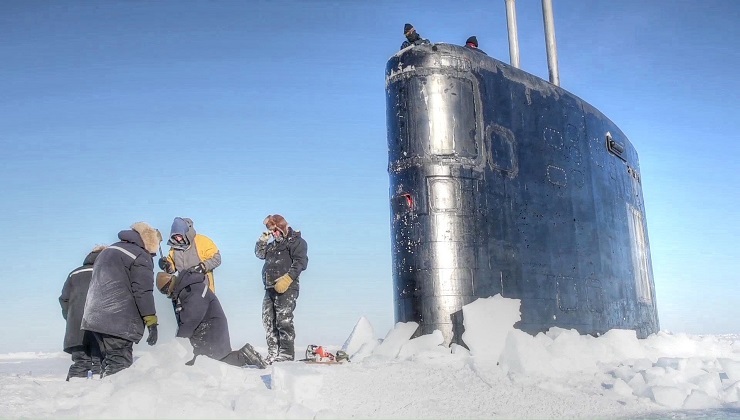 In a bid to confirm this notion, the website of the US Navy released information about actical missile launching exercise being conducted in the Arctics by two US nuclear submarines USS Hartford of the Los Angeles-class and USS Connecticut of the Seawolf-class. However, one can remember how the former commander of NATO forces, the now retired Admiral James Stavridis, warned Washington that by focusing Pentagon’s attention on the North Atlantic, it’s increasing the risk of dangerous incidents occurring that could lead to catastrophic consequences. According to a retired French intelligence officer, deputy director of the French Center for Intelligence Studies (CF2R) Alain Rodier, Washington is in a state of war with Russia, although this war hasn’t turned particularly hot by now. The Pentagon has already spilled the blood of Russian citizens in Syria’s Deir ez-Zor Syria. Fortunately, at the moment there are no direct clashes between the regular forces of the US and Russian regular forces, although reconnaissance planes and drones are now commonly violating those zones that would normally be restricted for them. However, it must be noted that all attempts of dialogue with Moscow have been unilaterally derailed by Washington. President Putin defends the interests of his fellow citizens – which is becoming a rare occurrence in today’s Western world, even though they do not necessarily correspond with the interests of Europeans. It’s also been noted by this expert that Russia does not represent a direct or even indirect threat to the EU, in spite of the constant attempts of Britain, Poland and the Baltic countries to spread anti-Russian hysteria. The ongoing deployment of American non-strategic nuclear capabilities in Europe is accompanied by the destabilizing practice of “joint nuclear missions”. Under these missions, that constitute a gross violation of the Non-Proliferation Treaty, non-nuclear NATO members participate in planning of the possible use of US non-strategic nuclear weapons and are engaged in acquiring skills necessary for such strikes. No one should be mislead into believing that by drawing the armed forces of European states in such exercises Washington is planning anything else than the actual use of nuclear weapons against Russia. Against this background, there’s little doubt that European citizens should voice their frustration with such practices if they are not planning to suffer the fate of citizens of Hiroshima and Nagasaki that were obliterated by first American nukes. However, one shouldn’t be too surprised with Washington’s war preparations, as a 100 years ago, when Russia was in turmoil as a civil war raged between the new Bolshevik government and their political opponents, a contingent of more than 8,000 American soldiers landed in Vladivostok. 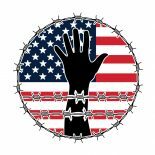 Even though the American intervention suffered the same problems as later deployments, their actual mission of conquest is often confused these days with «humanitarian concerns» and even a desire «to bring democracy to Russia». As a matter of fact, a half of all US residents accuse President Donald Trump of destroying Washington’s ties with Russia, as it’s been shown by a poll conducted by Morning Consult in cooperation with Politico. Today, according to the conclusions of numerous analysts, it is precisely the position of President Trump who doesn’t have the the imagination to picture the sheer destructive power of nuclear weapons that pushes the Pentagon into attempts to seek ways of getting an upper hand through the sacrifice of the lives of its military personnel. We must not forget that the fact that today major players are in possession of a large number of nuclear devices accompanied by the fact that they preserve them in a state of full combat readiness increases the danger of a nuclear war, with any minor miscalculation resulting in an instant and complete destruction of the entire world, including the United States. This entry was posted on May 31, 2018 by conspiracyanalyst in Nuclear War, US News, War & Peace and tagged nuclear war, Russia.